The Central Works Council (COR NWO) represents the interests of all employees of NWO-D and NWO-I in consultation with the executive board. This month's news: changes to the composition of the COR NWO, looking back on the negations about the implementation regulations (IR) and the priorities of the COR NWO 2018. Following the completion of the legal phase of the merger of CWI and NIOZ with NWO-I per 1 January 2018, CWI and NIOZ now have a full seat in the COR as well. Previously they had a guest seat in the COR NWO and were not allowed to vote. ZonMw, which according to the planning will become part of NWO in 2019, still has a guest seat. Other changes in the COR have also taken place over the past few months. Curious which colleagues are now members of the COR? 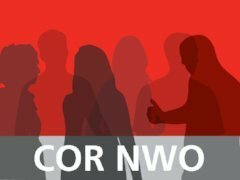 On the NWO-I website you can find the most recent composition of the COR NWO and who represents each part of the organisation. From 1 January 2018, all employees of NWO-D and NWO-I have the same secondary conditions of employment. The COR NWO considers this to be an important step in the transition to a single NWO. From September to December 2017, a delegation from the COR NWO (including the representatives for CWI and NIOZ) held constructive negotiations with a delegation from the employers. At the end of December, the COR approved the outcome of the negotiations. A lot of colleagues will benefit from the new IR of NWO. For the colleagues who will be financially worse off, the COR was able to agree that individual negative financial consequences will gradually be reduced over a period of eight years. A summary of the IR agreements and a copy of the entire IR can be found on the NWO-I website. A detailed elaboration of the priorities can be found on Joost (intranet NWO) and on the NWO website.